Time speeds by, and before we realise, it is time to refresh the costume cases in the Arts of Living gallery again in Norwich Castle. They were last changed in 2012, and ideally would be changed every 3 years. This is because costume and historic dress was not designed to be worn for 24hrs a day, 7 days a week, and by displaying it for long periods we put it under certain stresses. 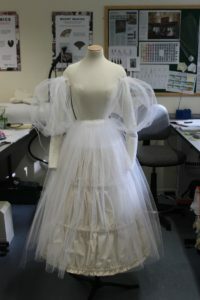 Even with specially adapted mounts that have been padded out to fit the individual objects, and with the correct ‘underpinnings’ (petticoats, sleeve supports and so on), a dress will be under a certain amount of stress due to the nature of its construction, and the fabric it is made from will have an influence. When you wear your clothes it is usually for one day, then you take them off, launder them and put them away for a few days before wearing them again. 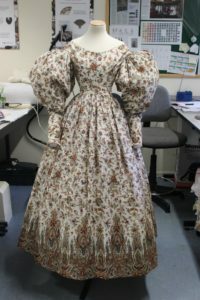 Historic dress on display misses out on 2 of those stages, and consequently may become weaker and not last as long if we do not allow it to have periods of rest. 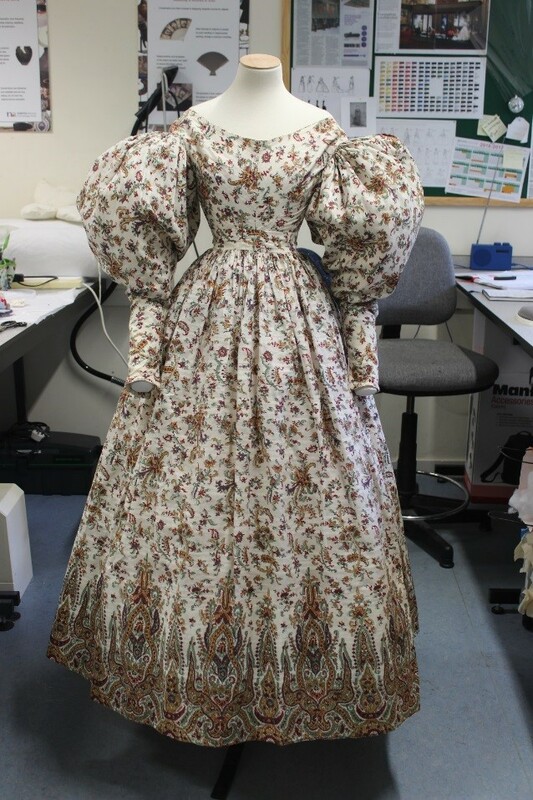 Ideally, the dresses we have just changed will be put back into store now and be ‘rested’ for at least 2 years before any future display. 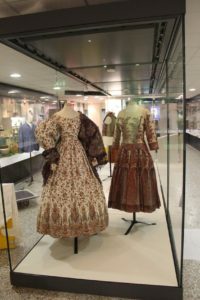 The theme of the current display is connected to shawls. All the objects on this rotation including the two in the Treasure Trade and Exotic gallery, are either made from shawls, influenced by shawls, or patterned with shawl inspired designs. 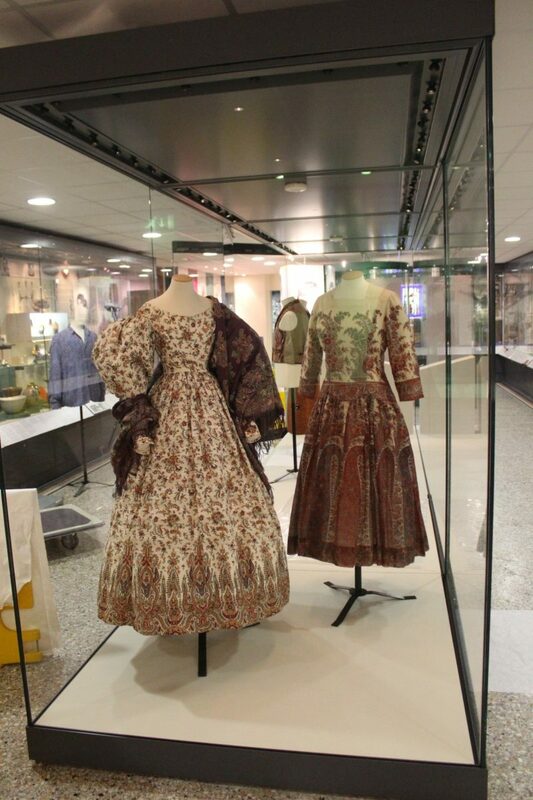 Norwich and Norfolk have a long and rich history of shawl making and more information can be found at the Museum of Norwich at the Bridewell.